Florida holidays have a way of grabbing hold and squeezing you tight. As one of the most sought after holiday destinations on the planet, any city in the Sunshine State is quality and dependable travel. From scintillating beaches to the pulse of the big cities, Florida holidays have it all for a first class and affordable getaway. The perfect blend for a fabulous Florida holiday includes a stay and play on the coastline. Mix and mingle in Miami Beach, live it up in Jacksonville, or catch a cruise from Tampa and Ft Lauderdale. 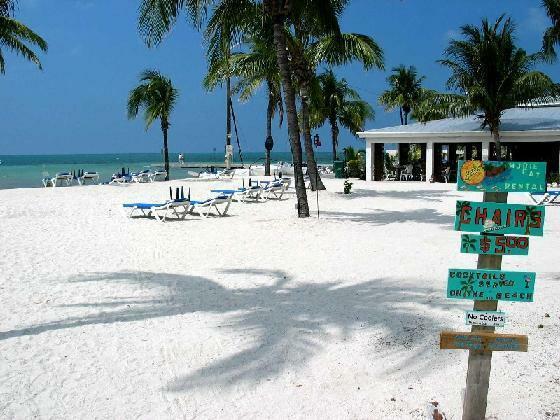 The Florida beach scene is non-stop outdoor recreation for fun in the sun at the price you want to pay. Hop on a banana boat for a lazy river ride or kick it up a notch with the Eagle Yachts and Sailing Charters. Learn to surf with expert instruction at the Daytona Beach Surfing School or take a break in the air for parasailing at Florida’s best. Other hot spots at the beach include the Halifax Rowing Association, Cracker Creek Canoeing, and A Day Away Kayak Tours. Race car enthusiasts head straight for the track at Daytona Speedway and be sure to sample the local fare with over 400 Daytona Beach restaurants to meet and exceed most budgets. The Miami beaches are world famous for pristine conditions, abundant water sports and a hip and happening nightlife. However, try to drag yourself away from the waves for a few stops at the Miami Beach hot spots. Jungle Island is home to interesting and engaging creatures to include Llamas, kangaroos, lions, tigers, monkeys, and talking parrots. Be sure to catch the alligators in action at the Gator Extremes Show and a wild and wacky bird show at the Parrot Bowl theatre inside Jungle Island. The Miami Seaquarium has a swim with the dolphins attraction and also features sea turtles, seals, killer whales and more. Crank it up with off-road mountain biking at Oleta State Park or run your blood cold with a skydive over the Everglades boarding at Homestead Airport. Unspoiled beauty and miles of biking trails make Jacksonville one big thrill ride for the nature lover. Bird watching on The Great Florida Birding Trail is second to none. Reel in the big one at the Jacksonville Beach Fishing Pier stretching nearly a quarter of a mile into the Atlantic Ocean. Shop till you drop at Prime Outlets at St. Augustine for best bargain deals on designer labels and international brands. Feast on fresh fish and traditional Southern fare at the Jacksonville shoreline restaurants then head on down to the Bay Street Corridor for a wide selection of Jacksonville pubs and nightlife. The best way to end a fantastic Florida holiday is to connect it to another one. Cruises to the Caribbean leave daily from the south of Florida for the Bahamas, Jamaica, Mexico, and more with convenient departures from Miami, Ft Lauderdale and Tampa. Take a quick weekend getaway at sea or island hop the Caribbean to find your slice of paradise. The Florida cruise centres reach most of the Caribbean island destinations with the exclusion of Cuba for American political reasons. Add a cost efficient Caribbean cruise to your Florida holidays and you have the best beach holiday on the block. The water is warm and the price is right for destination Florida beaches any time of the year. You can trust Travel City Direct to offer affordable quality holidays to Florida and the Caribbean, helping your budget go a lot further, as well as the security of being part of the Virgin Holidays family. You’ll also be pleased to know that when you book with us there are no hidden extras, so the price you see is the price you pay.